Traffic at the airport can be luck of the draw: on some days it’s seamless, and on others it feels like the entire bulk of humanity has decided to crush into the taxi line at the Miami International Airport. Everyone in the city has someplace to be, and air travel is unforgiving of late arrivals. In that regard, it seems common sense to ask this question: what makes the most sense for your journey to MIA airport? Everyone needs to get to their destination somehow, but we can ensure an effortless and pleasant voyage in a way no taxi company can. We want you to trust us with your business, but even more than that, we want you to trust us to show you that a better alternative exists for Miami area ground transportation. Our company uses two crucial aspects to ensure that our drivers are ready to serve you with best-in-the-industry quality. First, we ensure that our drivers have the requisite credentials and experience that will allow for knowledgeable navigation of Miami's many highways, avenues, and boulevards. Second, we equip each of our vehicles with a state-of-the-art GPS navigation system, all of which comes bundled with secure communications between cars and our home station. What that means for you is that you will benefit from up-to-the-minute traffic awareness. Whereas taxi drivers take chances and run on instinct, we run on data — the surest method to provide service wherever your destination may be. We’d love to show you just how seriously we strive to know every nook and cranny of Magic City. We're Miami natives and take pride in our ability to navigate the hot streets of our home city, providing skillful and coordinate services for all your journeys, whether you're here for a brief trip or are returning to stay. It's a question of the details: no taxi company can provide you a sumptuous and pristine Mercedes S-Class or Lincoln Town Car to serve as your personal chariot to and from MIA airport. No taxi company can create a detailed plan to suit your schedule — with route selection and other variables factored in to ensure stylish and carefree arrival at your chosen destination. When it comes to travel to and from Miami International Airport, there are myriad choices. When it comes to your journey, you'll find no better choice than calling us at 305-902-4417. We have a consummate and thorough understanding of this city and will make sure that you get to where you’re going in breezy style. There will be no waiting in line, no toting luggage, no heavy lifting or any of its attendant frustrations. Taxi service can get you there, maybe on time. 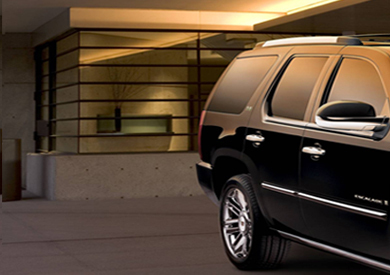 We can get you there in luxurious comfort. Not only does our fleet come equipped to navigate every alley and corner of the city, our drivers must pass a rigorous screening process that ensures only the most qualified and committed professionals get behind the wheel of our cars. All of this translates into guaranteed security and simplicity for you: your schedule is in our hands, and your comfort is at the forefront of our concerns, every minute of every journey.